The right to housing is under threat due to inefficiencies in spending and diminishing funding projected between the 2013/14 and 2017/18 financial years. 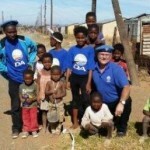 It is my opinion that the Eastern Cape faces a significant backlog and serious shortfall in its provision of quality-built housing for low income households, while the ANC keeps tight-lipped on the matter. Everyone dreams of having a place they can call their own; a place that feels more like a home than just a house. A backlog analysis conducted by the Human Settlements Department’s (ECDoHS) informal research during 2011/12, put the Eastern Cape backlog at 750 854 units. The 2011 Census report indicates our provincial housing deficit to stand at 606 616 units. With these two figures in mind, the math reveals that it will take us approximately 44 years to deliver houses at the current slow rate of delivery in the province. We have dropped our housing target per unit built per annum from around 18 000 units to 12 979 units for the 2014/15 financial year. This means that every year 5 921 beneficiaries will be homeless a little longer. My budget analysis for the 2014/15 financial year indicates the Eastern Cape Department of Human Settlements has received a total budget allocation of R2.48 billion. This is a decrease from the R2.83 billion for the 2013/14 adjusted budget allocation. When inflation is taken into account, the budget of ECDoHS decreased by 17%. Over the next three years the budget is expected to decrease by a further 3.47%, meaning that fewer people will receive houses. It is my view that the responsibility of political opposition parties in government is to create a conducive, enabling environment for the people to realise their dreams of having a home and a sustainable income. Can the MEC, Helen Sauls-August, please explain to the homeless how we will provide adequate housing for all, given the financial depression and various political, administrative and construction- related inefficiencies?